Fasting is the process of abstaining from food (and drink in some cases) for extended periods of time. It’s a practice that dates back thousands of years, utilized by various cultures around the world throughout human history for multiple purposes. These reasons include both health and spiritual reasons, which will be touched upon later in this article. Today, fasting is considered to be taking place if you don’t eat for a period of at least 8-12 hours. So technically, most of us are participating in a period of fasting every night when we sleep. In the morning, we break our fast, this is where the term breakfast comes from. Animals are constantly fasting, especially when they are sick. In fact, humans are the only animals who eat when they are sick despite their body telling them not to do so. Contrary to popular belief, fasting isn't dangerous or unhealthy if it’s done properly, it’s actually healthy and beneficial. When you fast, the body is deprived of its normal source of energy, food, by turning it into glucose. The liver stores lots of sugar, in a form called glycogen, which is used for energy when the body isn't taking in any of the food. Most of this energy source is depleted within the first 24 hours of fasting. After this, the body switches into a state known as ketosis, which uses the body’s fatty acids as fuel in replacement of the depleted glucose levels. This change usually begins on the second day, most likely ending on the third. What happens here is that the body converts glycerol, which is available in the body’s fat stores, into glucose for energy -but it’s still not enough. The body gets the rest of its energy from breaking down the amino acids in muscle tissue, which are used by the liver to make more glucose for energy. After this process, ketone production is sufficient enough to provide almost all of the energy the body needs, and the body begins to conserve large amounts of protein. The body is capable of preserving this protein to protect muscle tissue and vital organs from damage during long periods of food deprivation. After prolonged fasts of more than a week, the body starts seeking out non-body protein sources of fuel, which include nonessential cellular masses like degenerative tissues, bacteria, viruses or anything else in the body that can be used for fuel. The conservation of the body’s protein is believed by many to be an evolutionary development that exists to protect muscle tissue and vital organs from damage during periods of insufficient food availability. When you fast, just like when you sleep, the body is focused on the removal of toxins and the regeneration of damaged tissue. The benefits of fasting have been outlined in numerous scientific studies. Studies show that short term fasting can extend your life span, boost immunity and regenerate stem cells. The list goes on and on. One of the most recent studies published on the subject was in June of this year, in the Journal Cell Stem Cell. It found that fasting 2-4 days at a time can actually cause a reduction in white blood cells. This means that fasting kills off old and damaged immune cells, and when the body rebounds it uses stem cells to create brand new, completely healthy cells. The study was actually conducted using human clinical trials on patients who were receiving chemotherapy, where fasting was effective in fighting cancer. A scientific review of multiple scientific studies regarding fasting was published in The American Journal of Clinical Nutrition in 2007. It examined a multitude of human and animal studies, and determined that fasting is an effective way to reduce the risk of cardiovascular disease and cancer. It also showed significant potential in treating diabetes. Scientists at the National Institute on Aging, led by Mark Mattson, a professor at the school of medicine has published several papers that discuss how fasting twice a week could significantly lower the the risk of developing both Parkinson’s and Alzheimer’s disease. He explains how fasting stimulates two messaging chemicals that operate at the cellular level and are key to the growth of brain cells in both animals and humans. The shock of fasting leads the brain to create new brain cells, neurons are forced to grow and the brain becomes more resistant to protein plaques that are seen in cases of Alzheimer’s, or the damage created by Parkinson’s. Scientists are continuing to uncover evidence that short term fasting could achieve a number of health benefits. Despite this evidence, current medical opinion remains unchanged, because there are many human studies that indicate a diet of at least 2000 calories a day is the best option. As mentioned earlier, fasting has been practiced for thousands of years by various cultures all over the world. Seen as not only beneficial to health, but beneficial to the soul, as it is often done to intensify our connection to source, God, the creator or whatever you want to call it. This is why it’s described in various religions, texts, ancient civilizations and native american traditions. I won’t go into detail here, as that is a completely separate topic. It’s not hard to find more information on it if you do some research yourself. My experience with fasting started approximately 10 years ago. I started practicing it to lose weight at first, more concerned with my appearance than anything else, it worked tremendously. But then something happened, it started to feel really good, I felt really light and more connected to my soul. I received bursts of energy quite often. Eating was such a censorial experience, a censorial pleasure, a normal part of my human experience. Completely depriving myself of this pleasure allowed me to connect with myself on a spiritual level even more, and after I did the scientific research, I realized that it was quite normal to feel completely rejuvenated, energized and healthy. The fact that it was an ancient spiritual practice drew me into it even more, given the fact that science (more so quantum physics) is now catching on to concepts that were already known thousands of years ago. I fast quite often, and it is really (for me) an invigorating process that assists me in maintaining a completely peaceful state, which I feel is my most natural state. For me, it just feels right and since I have been incorporating it into my life for 10 years now, my body is quite used to it. ***When you are coming out of a fast, it’s important to do your research on how to best break it. It’s not something you want to rush into, you don’t want to stuff yourself with food after. You want to ease your body back into the transition of consuming food with fruits and vegetables. 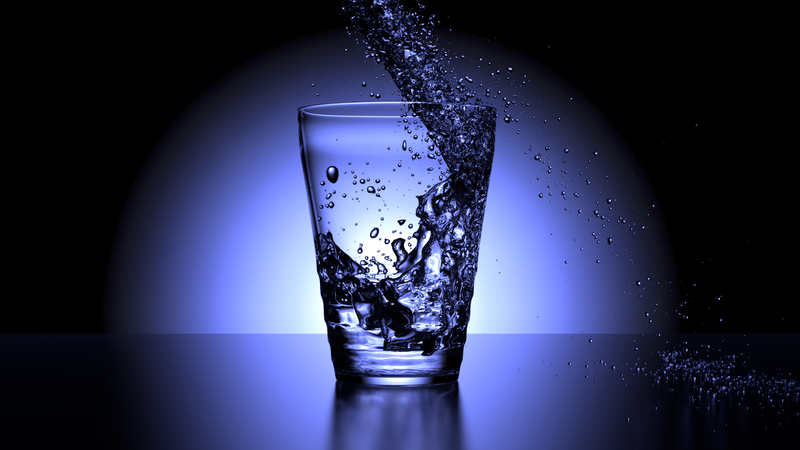 If you are going to do a water fast, it’s best to make sure your water is completely purified.